We live in this very small plane of view. It is necessary for survival. We live in this tiny little bubble where we are constantly dealing with the people and happenings right within our sight, right within our grip. Outward and inward, upward and downward, infinity exists but we stay here. There is so much magic beyond the limited range of our individual perspective. Every thing you see has a world of its own. An entire existence that we are unaware of. 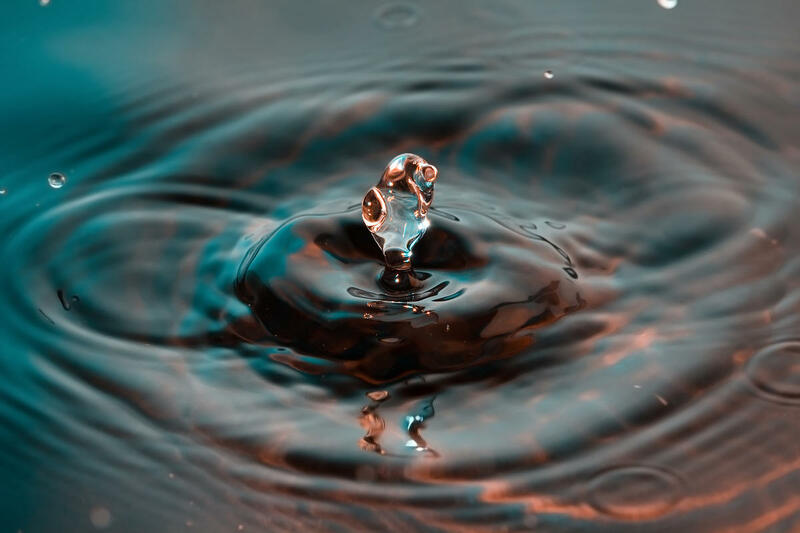 A droplet of water that we see colliding into a bigger body of water actually has its own intricate dance that we miss out on. It bounces and settles on the puddle because of its surface tension and then bursts and again, bounces and settles on the surface of the puddle. Smaller and smaller the droplet becomes until it is absorbed by the puddle in its entirety. We miss out on that dance because we don’t look closely enough, we never ask why? How? But if we can slow down, we can see that that insignificant droplet of water occupies an entire world of its own. A single cell that we perceive to be part of our whole, part of the body of a person or an animal or a plant has, in its own world, an entire metabolizing system. It has its own individual beings with jobs and to do lists in order to maintain its life. That cell is completely unaware that it is part of a whole. That cell, or even a leaf or a bug is its own circuitry of a life. If we slow down, if we look just a little closer we can see that there is an infinite world of being that happens just beyond our awareness. The stars and galaxies move at their own timeless pace, they dance and collide and that dance lasts millions of years. Their lives last wildly longer than any human could ever wish to be around to see it play out. There is a whole world bigger than us and we are so limited in our minds and occupied with our own existence, that we forget. Our world extends infinitely upward into the universe, where stars are exploding into and out of being, spewing their rich guts outward into the space around them. Dust and rock and matter collide and collect and begin to orbit the larger pieces, each carrying its own gravitational pull and attracting to one another just as human beings do here on earth. A metaphor for our lives and yet we are blind to its steady truths. As those stars and astral beings live out their lives in a beautiful dance, we sit here, unaware of their timeless beauty and wonder why our lives seem so meaningless. But if we can slow down, if we look just a little closer we can see that there is an infinite world of being that happens just beyond our awareness. 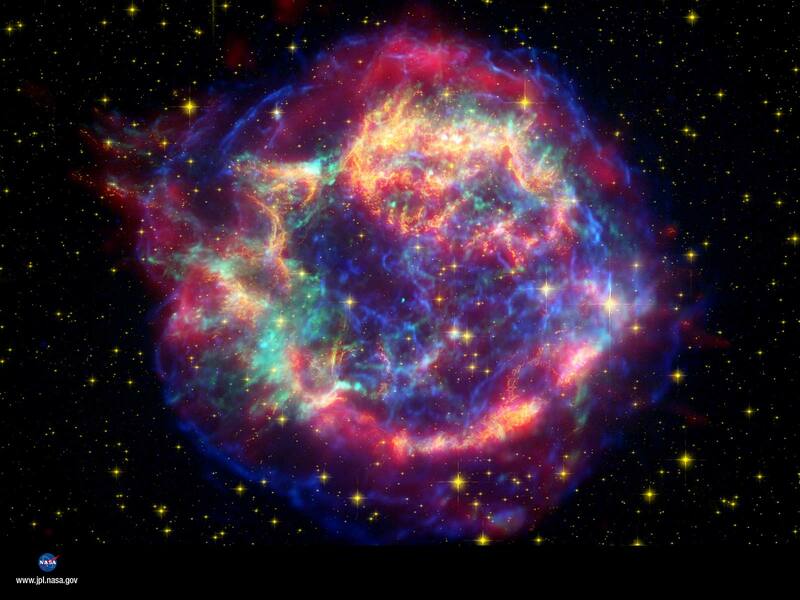 Cassiopeia A as captured by Hubble. Outward from us a whole universe stretches, beyond our own lives where other beings walk around constantly and we collide with them but we never really know them. We live in our small personal universe where the full existence of another can’t possibly penetrate. Even the love of your life you only experience as a reflection of your own understanding of their life and the stories they’ll allow you to see. The idea we carry of another is so limited and shallow, only ever seeing their opinions and views, their outlook of this life in the light of how we would respond or absorb the happenings and goings on of our own world. The people you thought you knew the most are in reality exactly and only ever what they share with you, and even then it is only through the veil of our own understanding of the world that we see them. Remarkable. 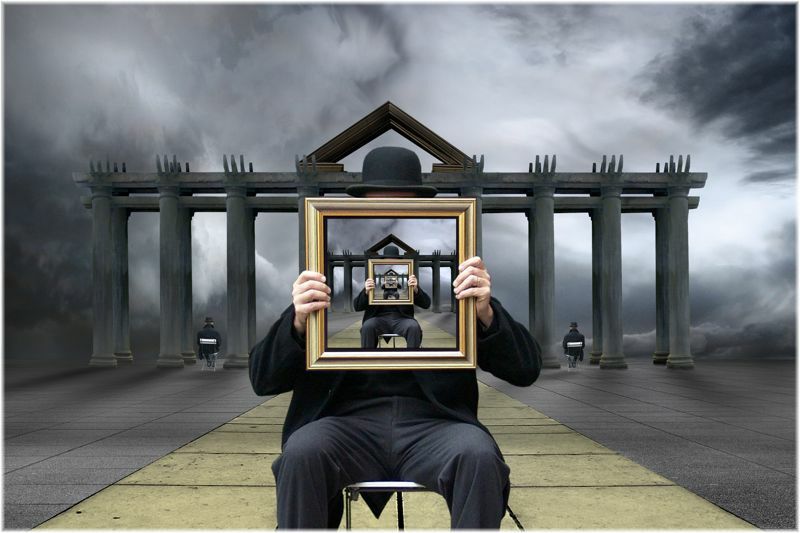 Ultimately, the people in our lives are but a mirror, reflecting back to us our own depth and grasp of this world. If we see others as shallow it is truly because we must be shallow, if we see others as unloving, it is truly because we must be unloving. But if we slow down, if we look just a little closer we can see that there is an infinite world of being in another that happens just beyond our awareness. 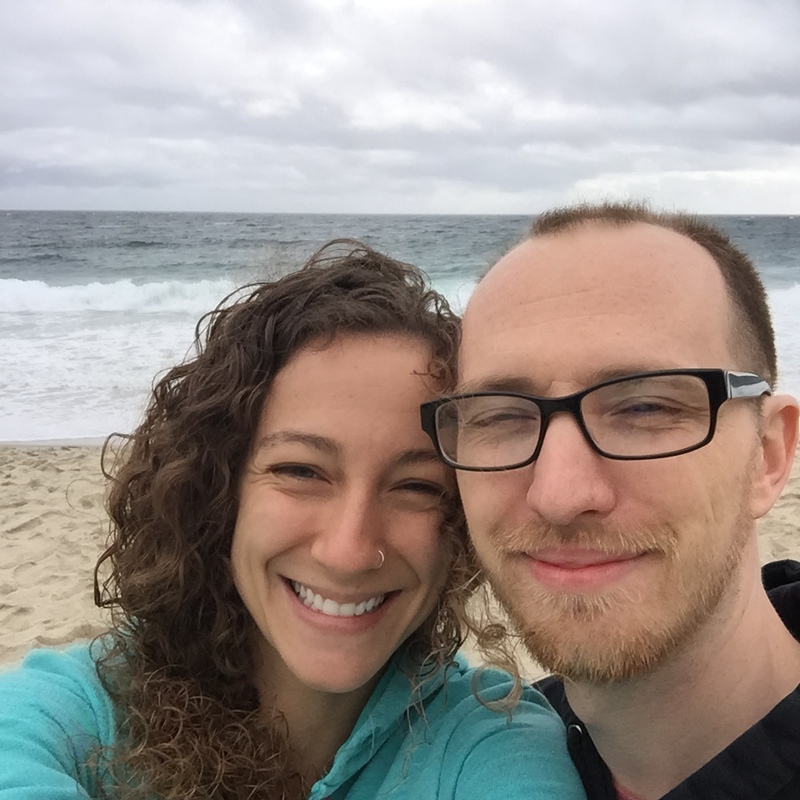 My love and I on Laguna Beach. Sadly, the same applies to our own depths. We stay on this surface of our being, an infinite bath of never ending inward depth that we could never fully explore. Most people are afraid of what they’ll find. Most people are hurt or betrayed by their own thoughts and conclusions of themselves and others and life in general. I honor those who are willing to go on the introspective mission to know ones self. They are the brave souls that press forward even when it may sting. Insecurities are revealed and patterns are uncovered. What we do with that knowledge is where true courage shines. If we can radiate that authenticity even when it isn’t accepted, if we can fight for understanding and allow others to go on that journey with us, do we not live a fuller life? If we can slow down, if we look just a little closer we can see that there is an infinite world of being within ourselves that happens just beyond our awareness. My respect lies with those who decide to understand this simple fact. Maybe we can never explore the entire universe, upward and downward, inward and outward, but damn if I won’t try. I’ll ask and ask and ask endlessly till my dying day. Seeking and searching for the knowledge I need to support my next step of understanding and growth. Stretching beyond my small bubble of view, reaching out into the void, constantly living on the frontier of discovery into a universe of which I crave to know every nook and cranny. I crave to know and interact with others that gather this same purpose of life. My soul longs to collide and dance with other beings who ask these questions too, who have this same insatiable lust for depth and discovery. I seek and search for those beings that are not afraid of the dark. Those loves that are willing to explore the scary unknown, of others, of themselves, of the world around them, sharing their findings all along the way. I crave to explore the inward and outward, the upward and downward of all that lies beyond our very small world view and perspectives. I long to live out of a higher dimension than most of this world seems to live. So I share, so I talk and talk and unfold that which lies before me. Unraveling the ball of mystery and wonder of this stunning and beloved universe. If we can slow down, if we look just a little closer we can see that there is an infinite world of being that happens just beyond our awareness. Out beyond that tiny bubble of our everyday awareness there is so much love, so much connection. I’ll meet you there.